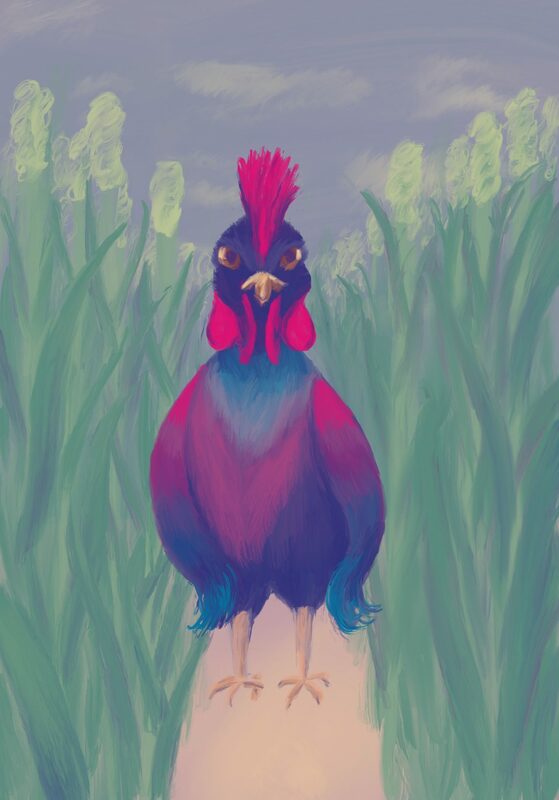 Here’s a fabulous chicken I painted for no reason at all. The fabulous chicken doesn’t need any reasons. The fabulous chicken is happy as he is. Hahaha! That is one hell of a fabulous chicken. Probably the most fabulous of all the chickens to have ever existed.